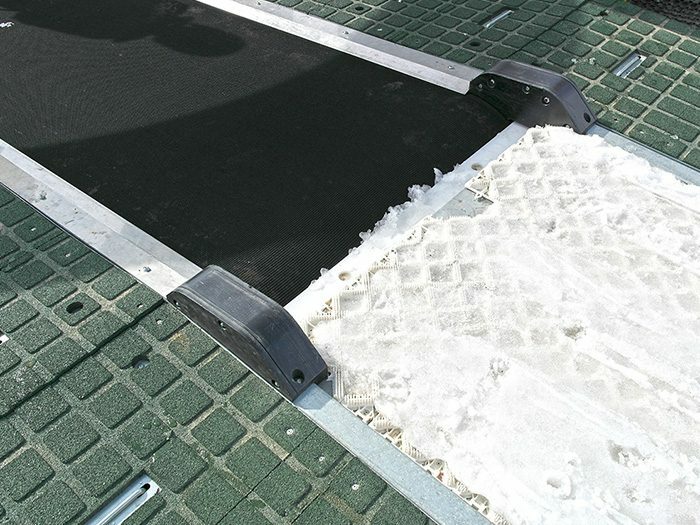 Since 1999, IDM rapidly saw the potential and the impact of installing belt conveyors in winter ski resorts. 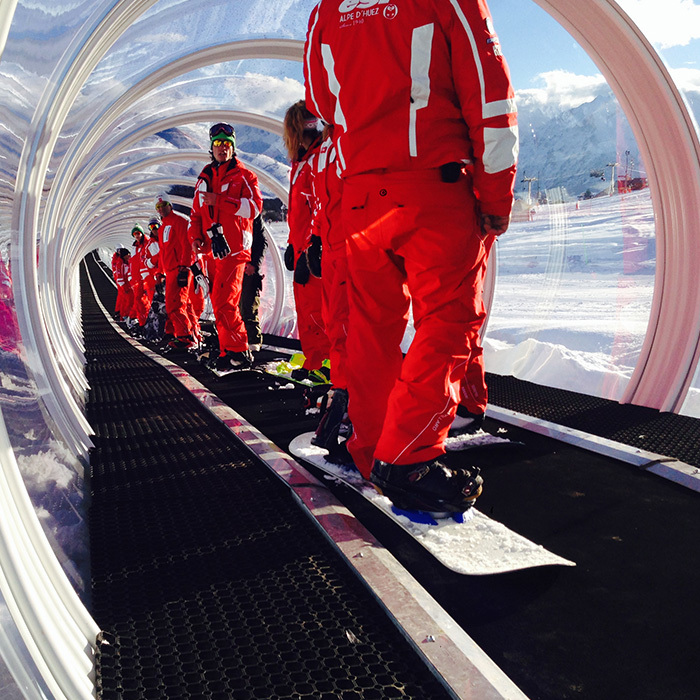 IDM’s first belt is inaugurated at Courchevel 1650. 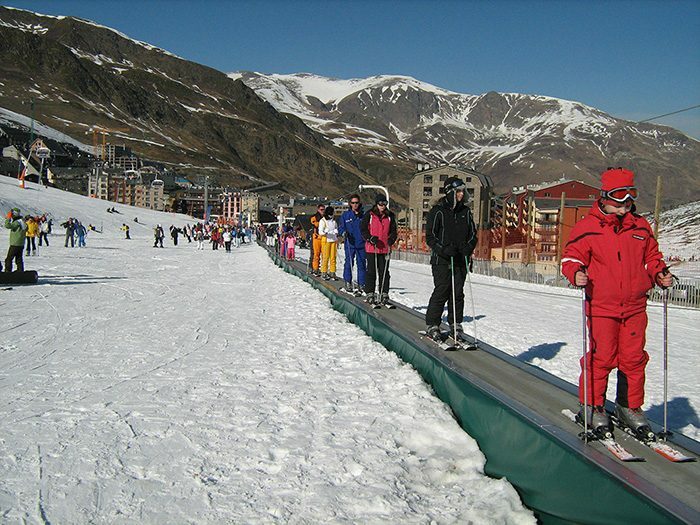 Belt conveyors are aimed at progressively replacing or complementing the use of ski lifts and surface lifts. They make for a viable and efficient solution to improve the operating of ski areas, ski schools and more particularly beginner areas. Since 2013, IDM commercializes belt conveyors from the Spanish maker TUSA, also reknowned for its experience in the field of industrial conveyors. 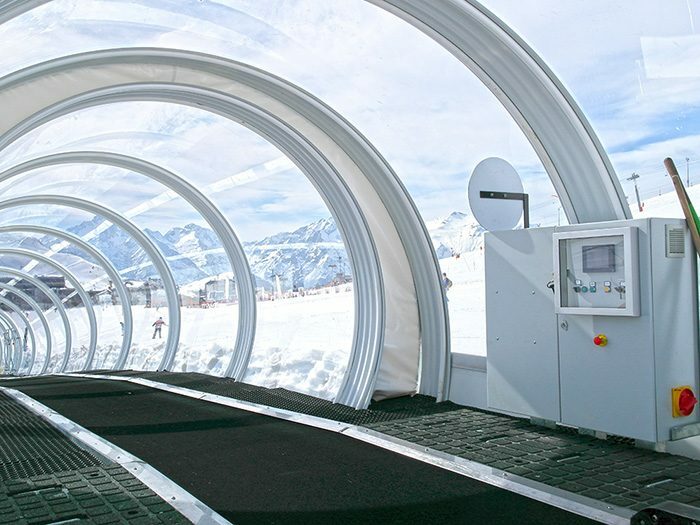 Always looking forward to finding novelties for its customers, IDM installed the first wide belt conveyor in France, at L’Alpe d’Huez, in 2013. This increased width allows to double the flow of passengers. It enables to carry two passengers side by side, which makes the way up more friendly and reassuring for a child with an adult. 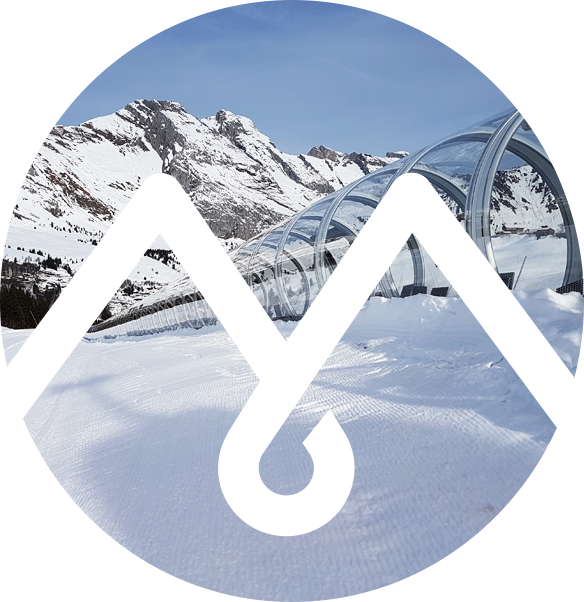 Several resorts have installed their wide belt conveyors, for example Formiguères and Le Grand-Bornand, and their feedback is particularly positive. Since 2016/2017, some belts were approved to operate at a speed of 1,2 m/s. This reduces the time needed to go up and perfectly fits long belts. In total, more than 60 belts have been installed since 1999.